George Osborne’s strategy was 75% cuts and 25% taxes, but he forgot to add in growth; growth last year cut the deficit as much as cuts. Yesterday the ONS released new revised figures (pdf) for 2010-11 borrowing, a net borrowing of £136.7 billion. Still an enormous number, but a smaller number than HMT was predicting in March 2010; then the number was £163bn. The consensus at the time was that recovery from a balance sheet recession would be slow. But as we saw last year, left to recover, the economy can defy the consensus, and growth definitely wasn’t slow. A year ago, even George Osborne was celebrating that GDP was growing at its fastest rate since 1999. The predictions for borrowing for 2010-11 were also frequently downgraded as each quarter of fast growth continued. Of course that all stopped in the fourth quarter, and now the chancellor’s having a bout of amnesia about how fast growth can go. Osborne’s strategy was 75% cuts and 25% taxes, but he forgot to add in growth. Growth last year cut the deficit as much as cuts. It is likely that this year the stagnation since Q4 2010 will be a net drag on cutting the deficit. We believe it will be worse than the £4bn here. The OBR noted yesterday receipts still aren’t growing as fast as it likes. At the same time unemployment rose by 80,000 – if it continues in that direction it could pose a problem. OBR’s fiscal prediction is 8.2% unemployment; it’s already at 7.9%. Both will push the borrowing higher. For an evidence-based blog, you really are quite careless with figures. You state “At the moment, the OBR is predicting the deficit will be cut only to £121bn”, yet in the following sum, we read “OBR current prediction of the 2010-11 deficit 122bn”. You go on to state “It is likely that this year the stagnation since Q4 2010 will be a net drag on cutting the deficit. We believe it will be worse than the £4bn here.” Yet the sum above states “Stagnation increase to deficit 5bn”. If you really want the evidence to be taken seriously, accuracy should be your first priority. 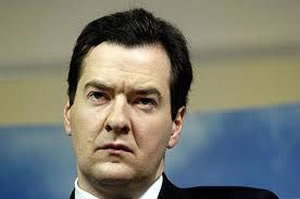 http://t.co/UAasmgny << This is a confusing article, but I think it says Osbourne failed his Maths GCSE & we're all screwed! !